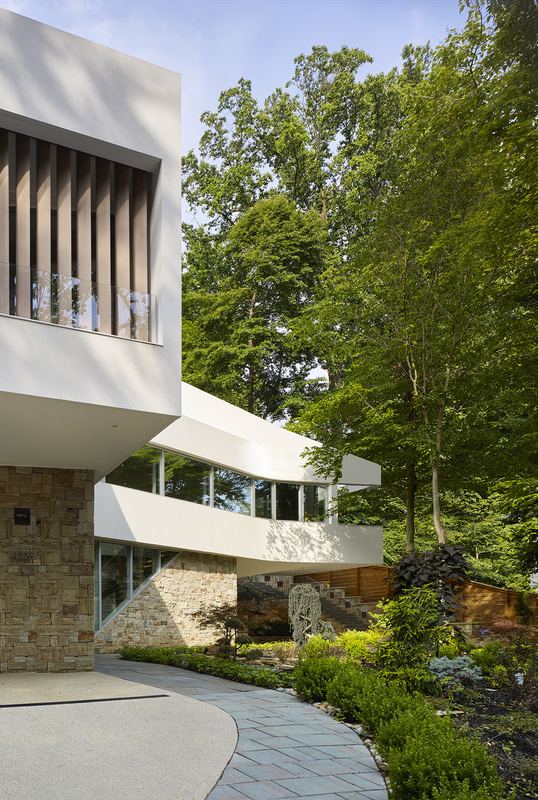 The Mathewson Residence is a single family home designed for an undeveloped, topographically challenging lot, in the heart of Washington DC. 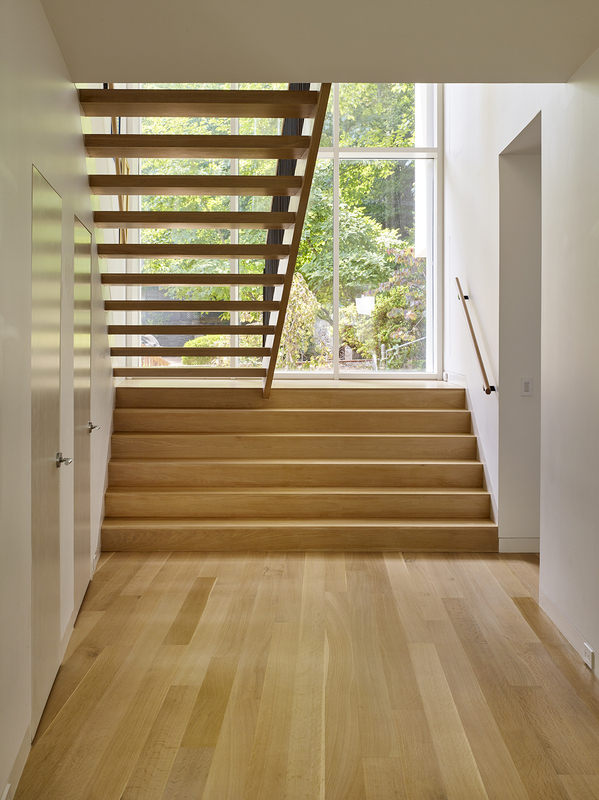 Other homes on the street are typically more traditional in shape and material and orientation to the street. 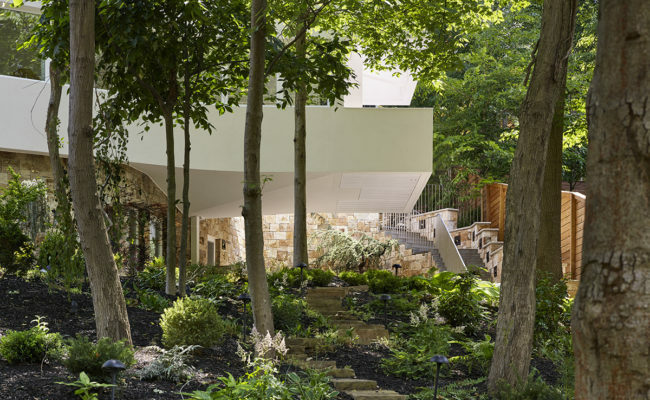 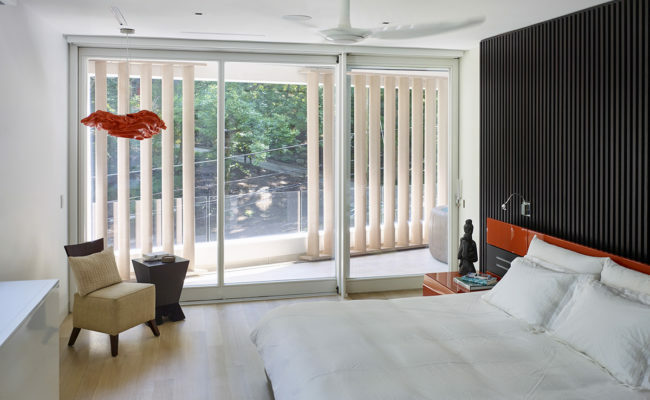 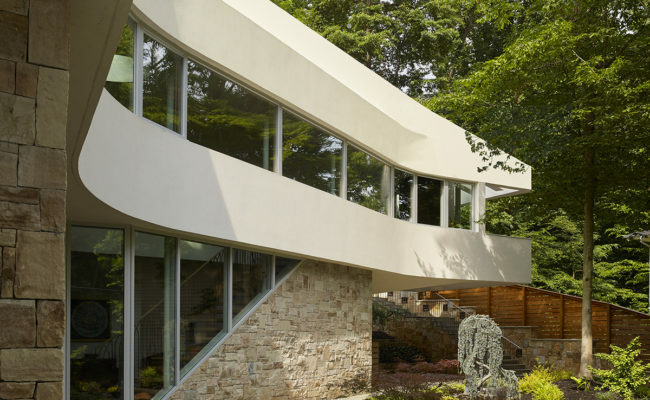 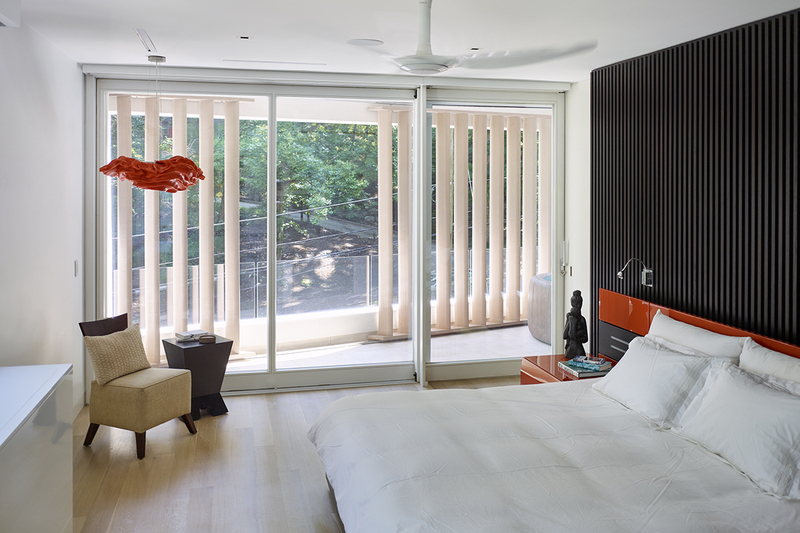 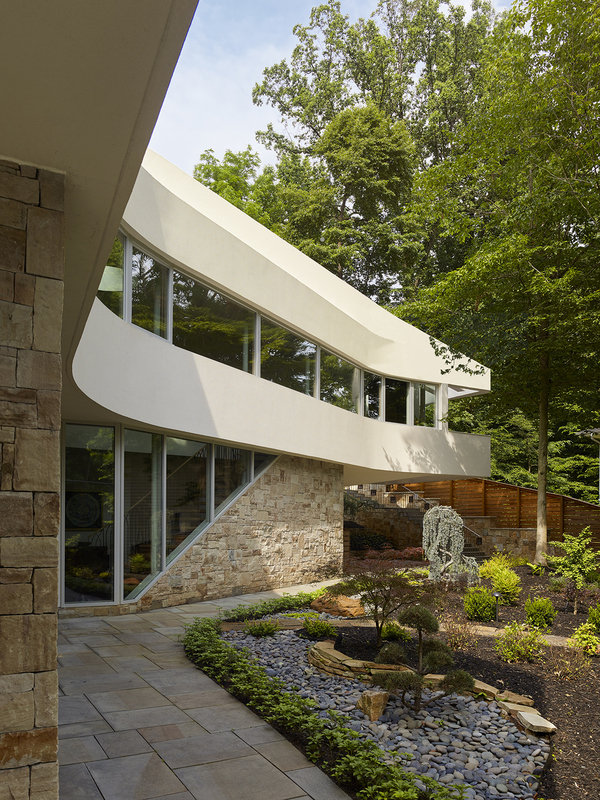 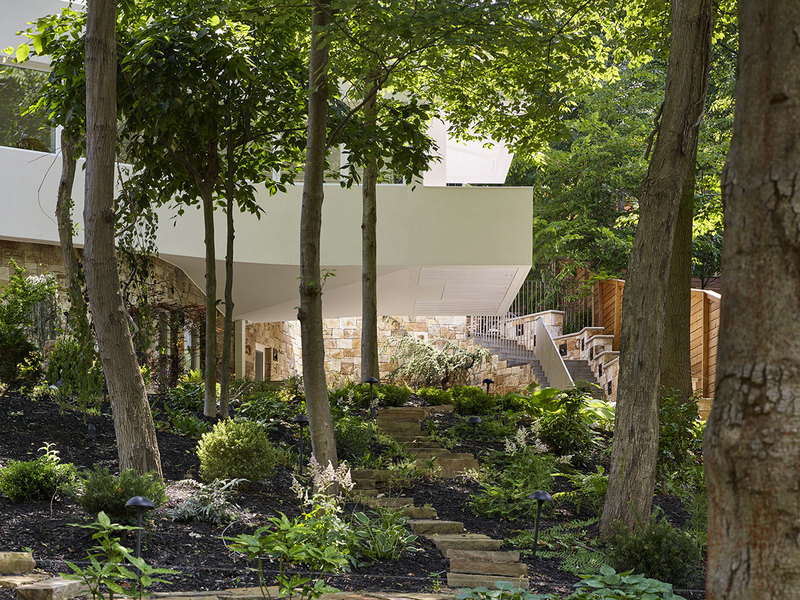 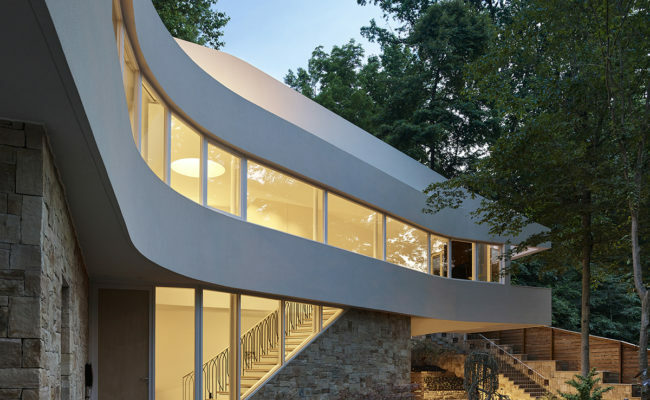 The solution for the organization of the house was to create a series of forms that would take advantage of the views available from the site, toward nearby Rock Creek Park and within the neighborhood. 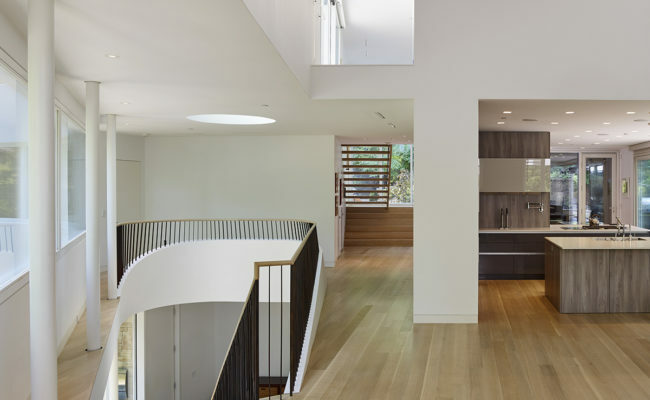 Each floor level is oriented to a different part of the site, intentionally framing views, using the shapes of rooms and openings to direct sight lines. 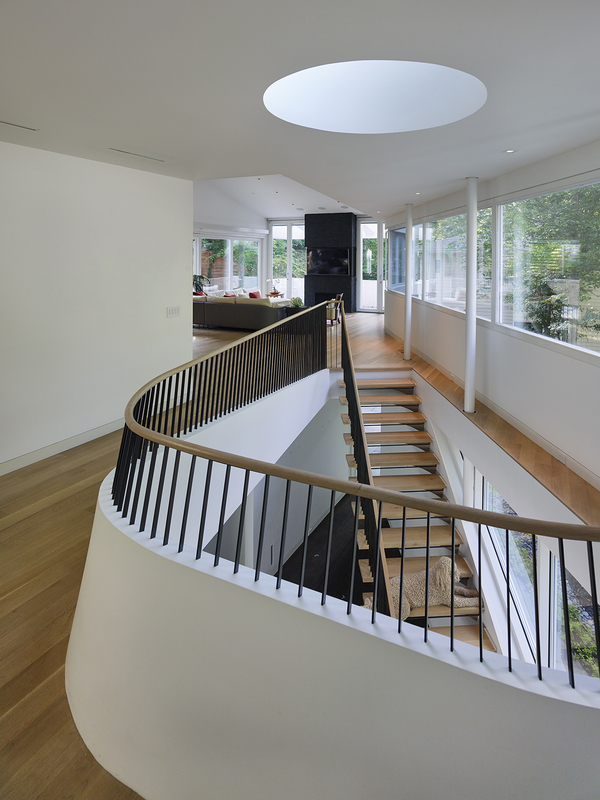 The lower level steps back, while the second floor curves around the landscaped area at the front of the house. 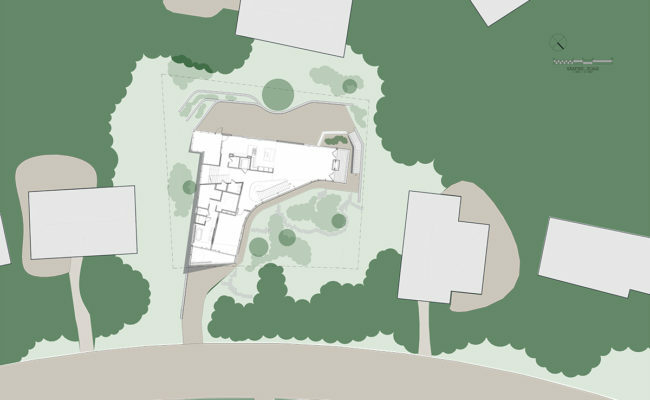 The two ends of that floor level push out into the landscape to take advantage of views in two other directions. 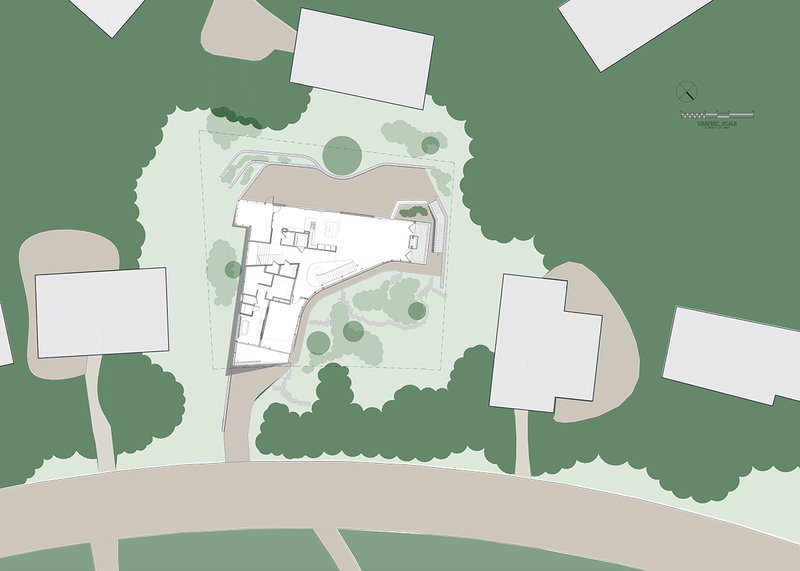 The upper floor is laid out in a way to take advantage of the southern sun at the back of the property. 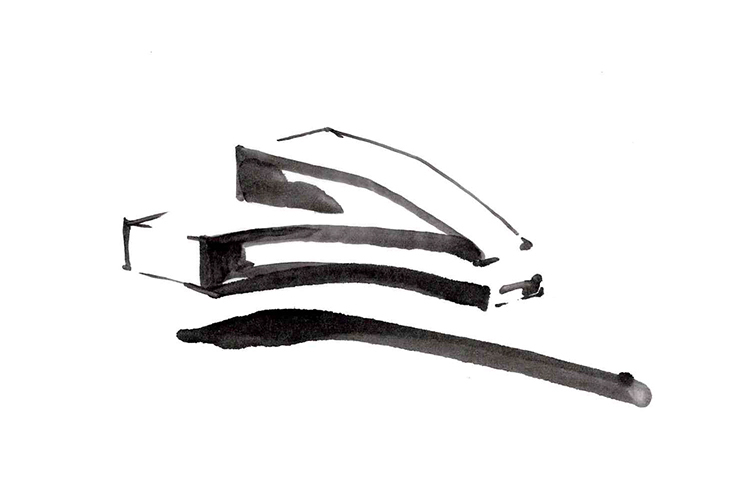 The main themes of connection and diversity of experience drive the dialogue between the interior spaces and the surrounding landscape. 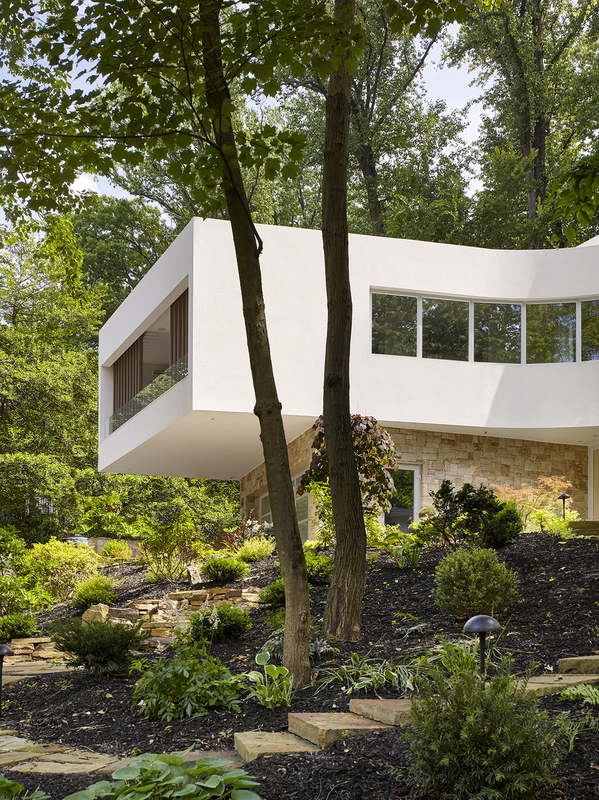 The stone-clad base of the house is carved from the hillside and sits in contrast to the white, floating volumes above. There is a feeling of weight and stability at the lower level, which is fully grounded and cradled within the rocky site. 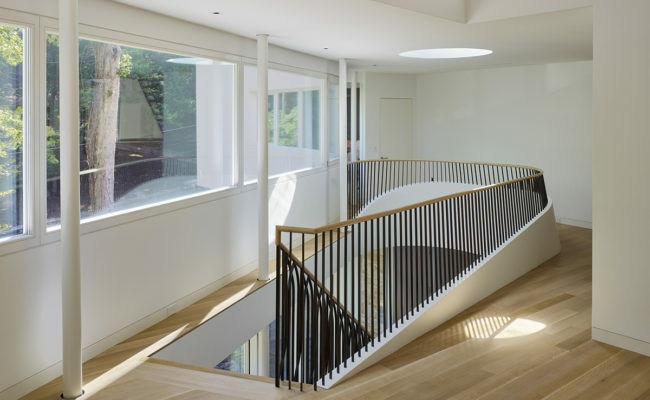 While the lower level appears to look inward, the upper floors of the home with large expanses of glass, and cantilevered terraces are the counterpoint, light and open, bright and weightless. 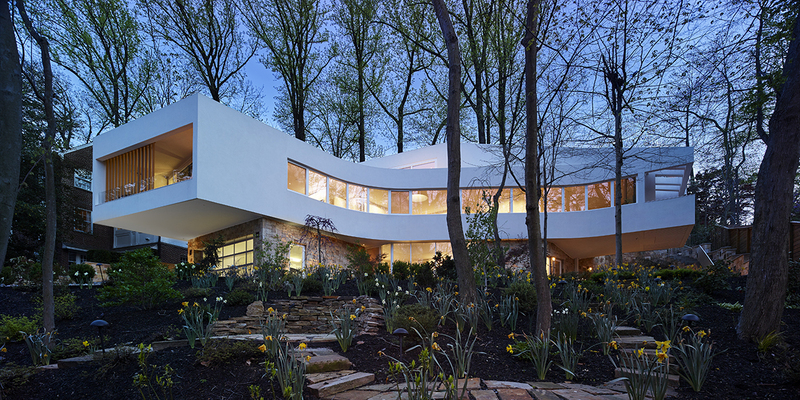 The sinuous white sculpted stucco and glass volumes hover above the landscape. 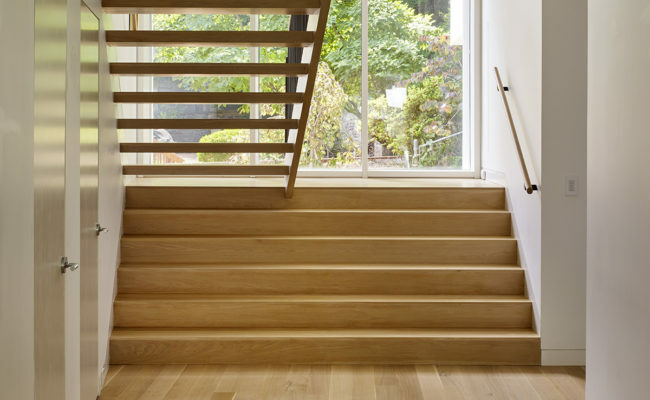 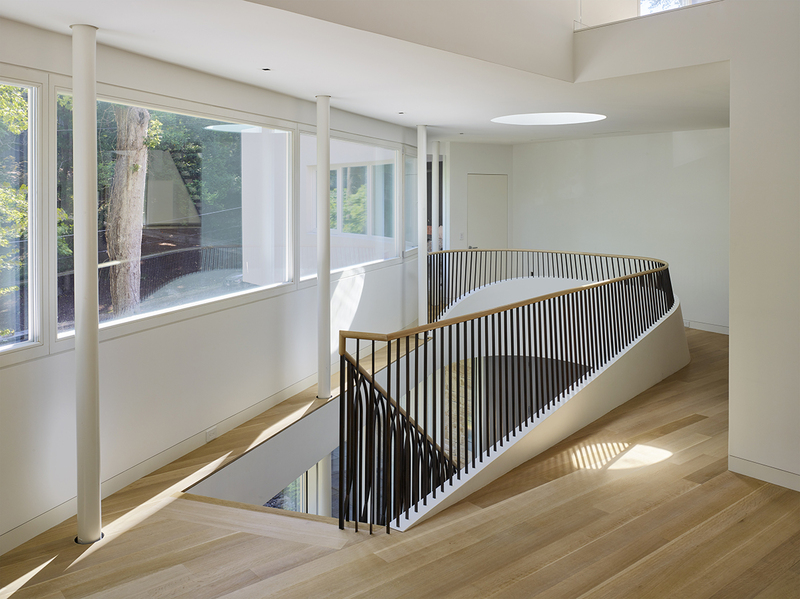 The house is experienced through a sequence of carefully orchestrated steps. 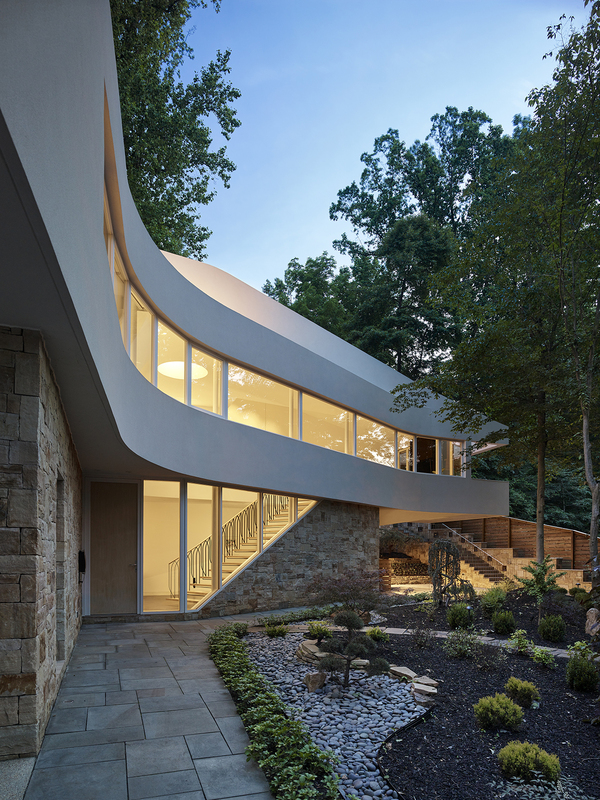 All visitors arrive at the lower level, moving through the stone walls of the building base. 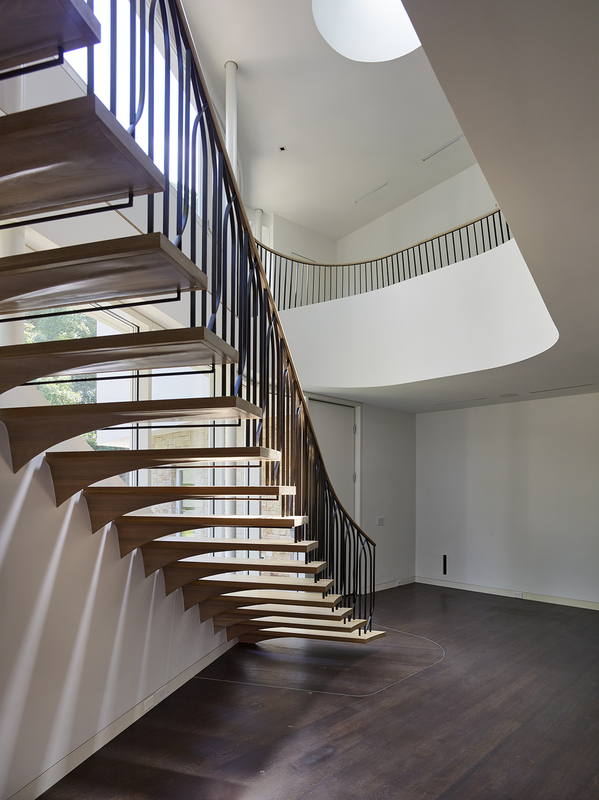 The dark flooring complements the grounded feeling of the lower level. 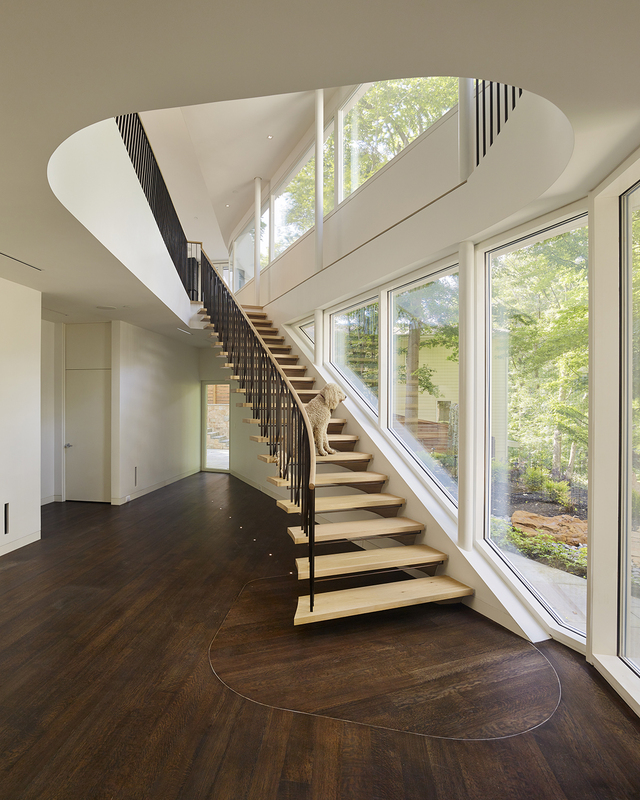 The space opens up with a sculptural cantilevered open stair that leads to the main living spaces above, with an atrium and skylight overhead. 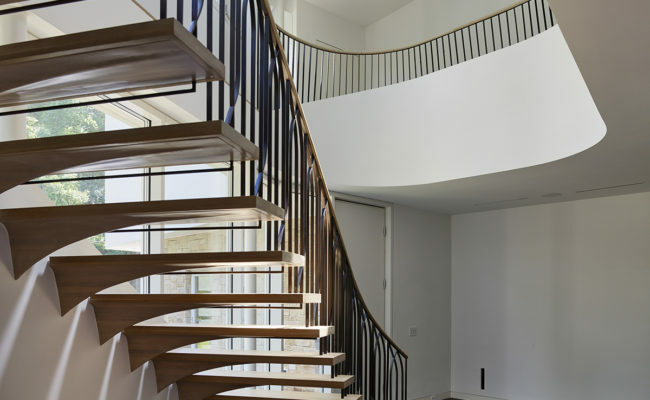 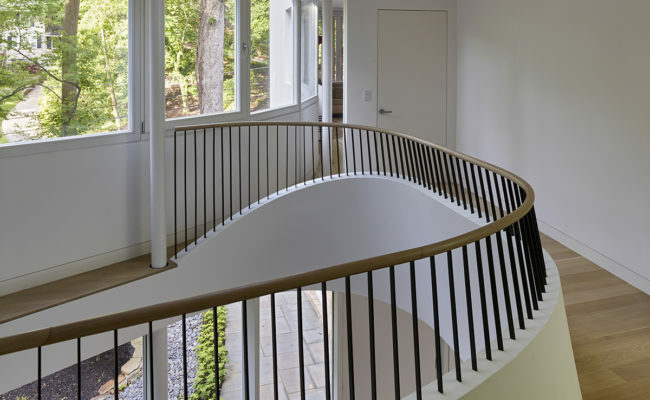 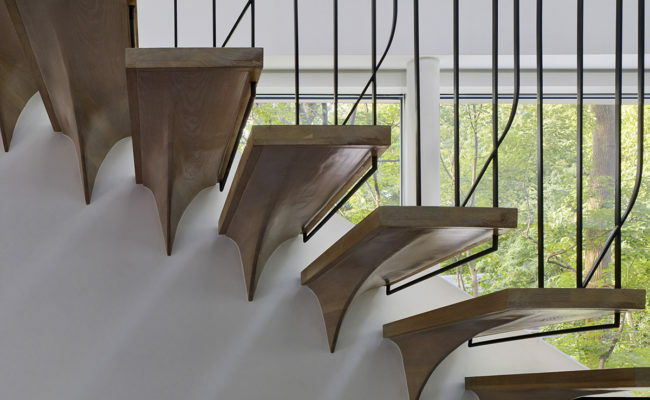 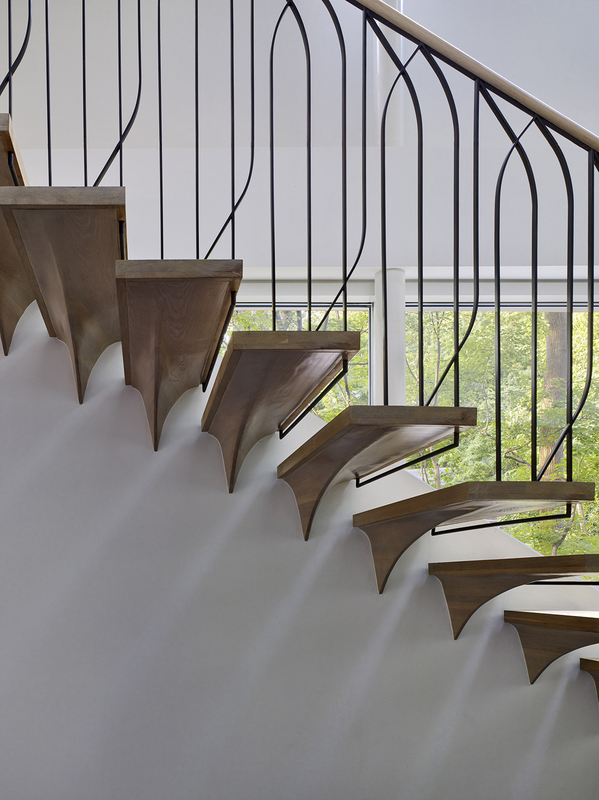 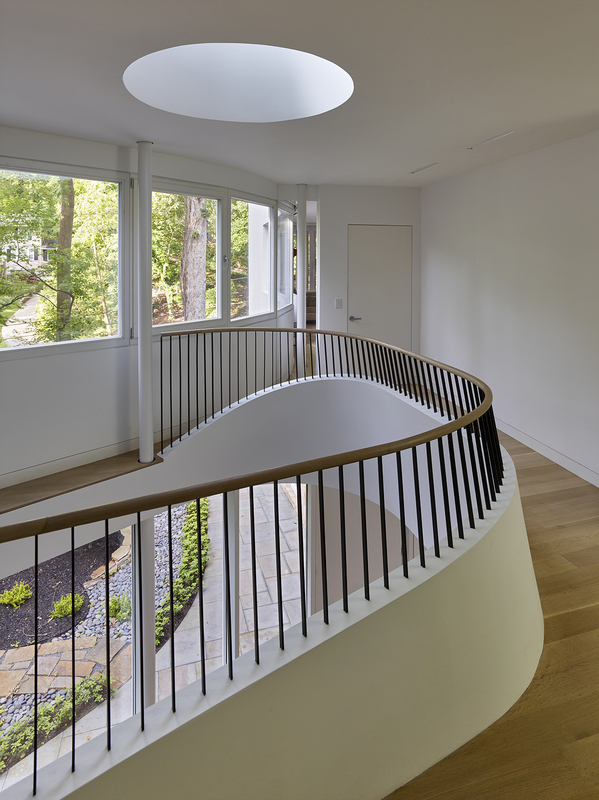 The curving stair flows into the atrium opening, and invites movement to the main living spaces at the second floor. 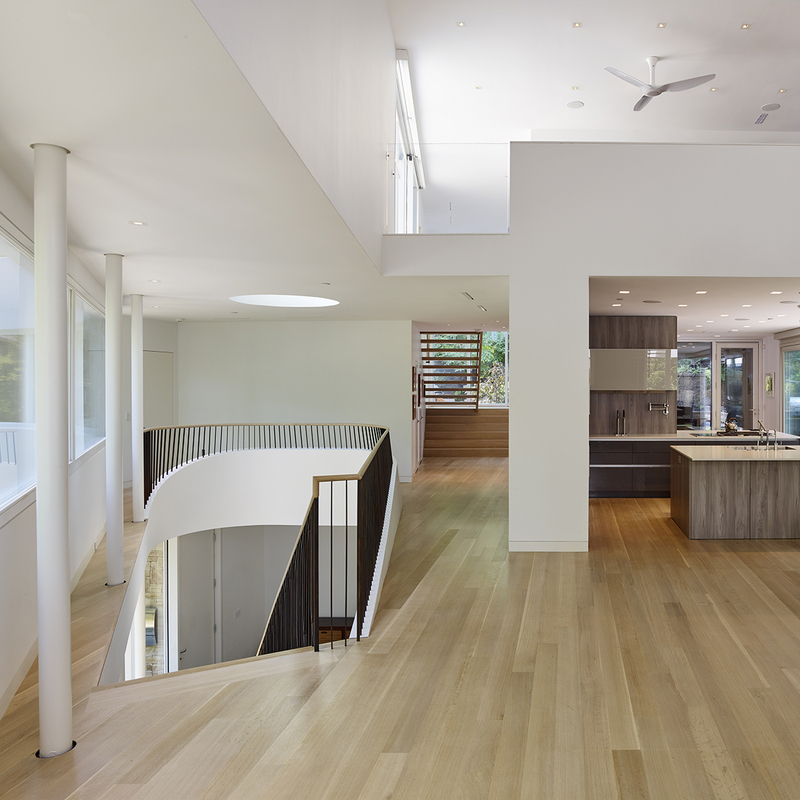 Here, the lighter flooring and intimate scale of detail reinforce the arrival at a new place, a new experience at the higher elevation, up into the zone of the mature trees. 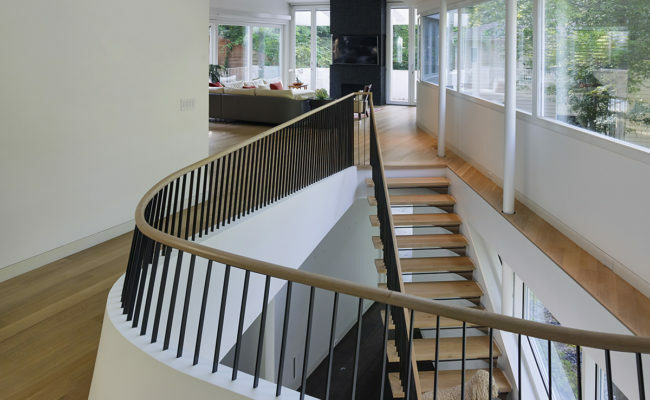 The more private spaces are tucked away at the upper floor, and can be reached with a separate, more private stair away from the more public areas.